After getting back from a scorching hot weekend and disappointing loss in Denver the previous week, I returned home for the second home game of the year and the Seahawks looked to jump out to their first 2-1 start since 2007. I met my friend Jake before the game and we had lunch at Red Robin in downtown Seattle. Unfortunately we were both 20 years old at the time so we were not able to get into the bars around the stadium and pregame like we have in recent years. After finishing our burgers we walked up the waterfront and made our way into the stadium. At the time the San Diego Chargers were the 4-time defending AFC West champions so this was one of the more attractive games on paper at the start of the season. There was however a thought that the Chargers window of opportunity was starting to close. This was a great chance for the Seahawks to show that they could compete in the NFC West in Pete Carroll’s first season as head coach. In the first half the Seahawks proved they could compete, jumping out to a 10-0 lead at halftime which included the first career interception for rookie safety Earl Thomas. The second half however, is what gives this game a spot on this list. The second half started with a bang. Leon Washington returned the opening kickoff 101 yards for a touchdown, giving the Seahawks a 17-0 lead. San Diego never gave up, as they took their next drive 80 yards in just over two minutes to cut the Seattle lead to 10. After sacking Seahawks quarterback Matt Hasselbeck in the endzone for a safety, the Chargers drove into field goal range and connected on a field goal which cut our lead to 5 heading to the 4th quarter. 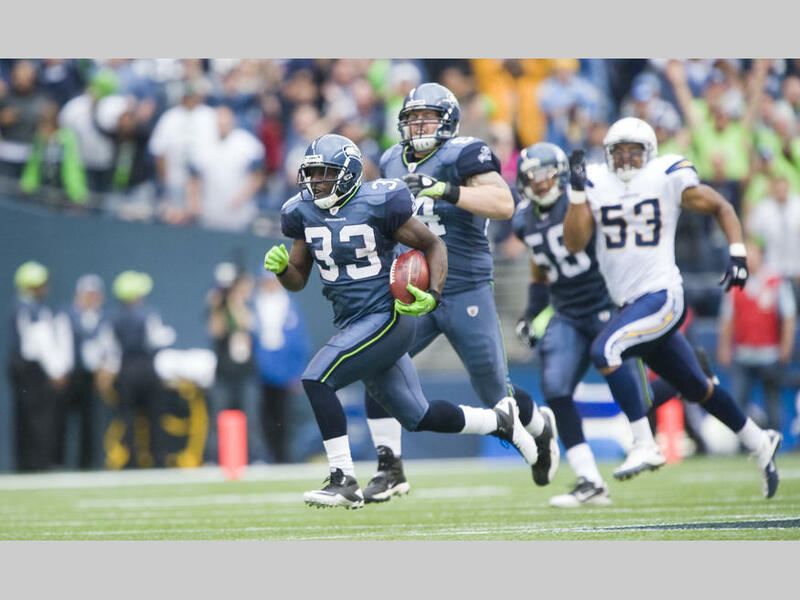 The Seahawks kicked a field goal giving them a 20-12 lead but the Chargers drove right back to make things interesting. Philip Rivers connected with Antonio Gates for a 12-yard touchdown, Rivers then completed the 2-point conversion to receiver Legedu Naanee to tie the game at 20-20. After dominating the first part of the game the Seahawks had given the game up and it looks as though San Diego had all the momentum. That momentum was taken right back on the next kickoff. Leon Washington returned the kickoff 99 yards for his second touchdown of the day, giving the Seahawks a 27-20 lead with 6:39 left in regulation. I remember my voice cracking as Leon broke away and when he started to high-step into the endzone Jake and I went absolutely nuts in the stands. With 1:38 left in the game the Chargers had one more chance to tie the game. San Diego drove the ball into the red zone but the game rested on a 4th and 15 with under a minute left to play. Rivers took the snap out of the shotgun, fired across the middle, and the pass was once again picked off by Earl Thomas at the goal line. 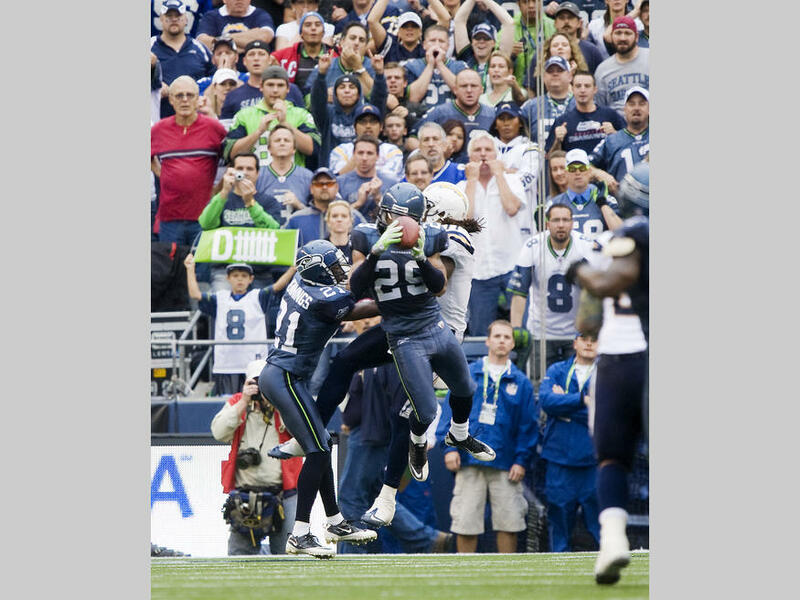 As soon as Thomas jumped the receiver to intercept the pass I could see Pete Carroll throwing his headset off and jumping into the air to celebrate. We did the same at my seats. The Seahawks won what was arguably the most exciting home game of the season on this overcast yet muggy Sunday afternoon.